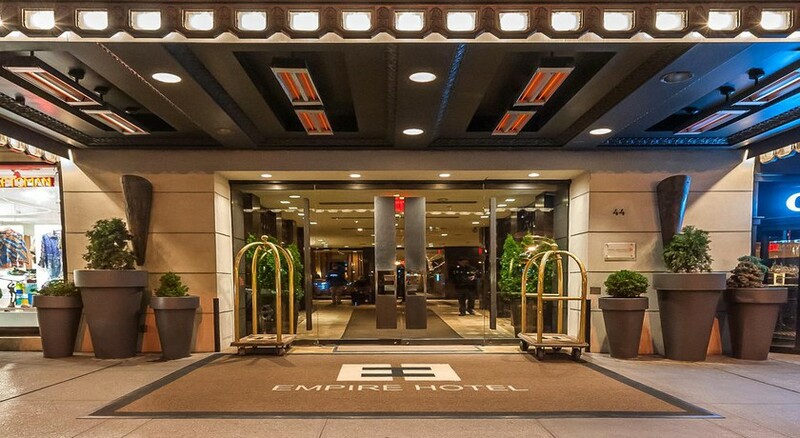 The Empire Hotel is a luxury hotel in the Upper West End of Manhattan just a few minutes from Central Park and Lincoln Centre for the Performing Arts. Featuring a seasonal outdoor pool on the terrace, cabanas, and two restaurants, a bar and a lounge, it is poised to provide guests with a comfortable stay amidst plush surroundings and warm hospitality. 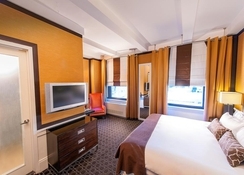 Superior guest amenities and upscale services is what makes the hotel stand out in a strategic location of NYC. 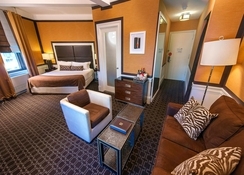 The guestrooms are furnished in modern décor with excellent park views, premium bedding and luxe bathroom amenities. Go for a stroll in the Central Park or enjoy Jazz at Lincoln Centre and Alice Tully Hall. 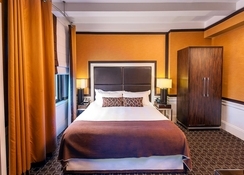 The hotel also offers a fitness centre, tour desk and ticket service to its guests to enjoy a fabulous nightcap in the Big Apple. The Upper West Side is renowned for its classy museums, parks and cultural vibe. Directly across the street from the Empire Hotel is the famed Lincoln Centre for the Performing Arts. The Metropolitan Opera House, only a block from the hotel, has year round live entertainment shows. Only a few steps from the hotel are the iconic Columbus Circle and the leafy oasis of Central Park. The LaGuardia Airport is 18km from the property. 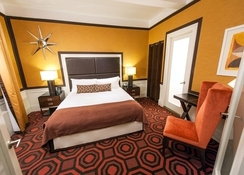 The guestrooms at the Empire Hotel have modern décor in earthy tones and come with a flat screen TV, alarm clock radio, minibar, 100% cotton linens & bathrobes, spa-inspired bathroom design with a tropical rain showerhead and luxury bath amenities. 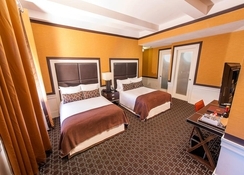 The guestrooms are categorised as Standard Queen, Superior King, Standard King (Accessible), Superior Double, Deluxe King and Junior Suite King. Guests can enjoy complimentary fitness centre access. The Empire Hotel Lobby Bar is the place to enjoy some of the best mouth-watering beverages, including the hotel’s signature Chuck Bass cocktail or from a selection of wines and finest liquor. The Empire Rooftop with its luxurious 8000 square feet of space has two bars and a retractable roof making it a place to relax and let your hair down. The hotel also allows social and business events here. There’s a P.J. Clarke’s, serving classic burgers and chilled beverages along with the famous Lobby Bar featured in hit series Gossip Girl! Guests can have picnic at the Central Park or lounge in the Sheep Meadow or Strawberry Fields where live performances are always taking place. They can also watch classics such as Hamilton, Oslo, The Little Foxes, Dear Evan Hansen, Hello Dolly, Present Laughter, Natasha, Pierre & The Great Comet of 1812 and other shows at Broadway. The hotel has a swimming pool with sun terrace and cabanas where guests can relax and soak in the sun. 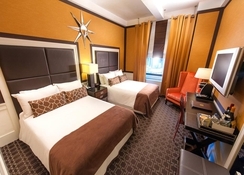 The hotel also offers a ticket service for shows and a tour desk to explore NYC. Those who wish to stay active can work out at the fitness centre.